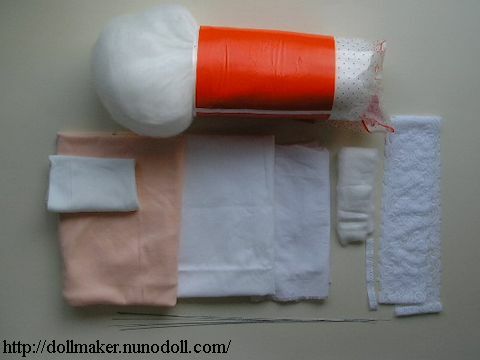 The size of a doll depends on materials, sewing, or stuffing. 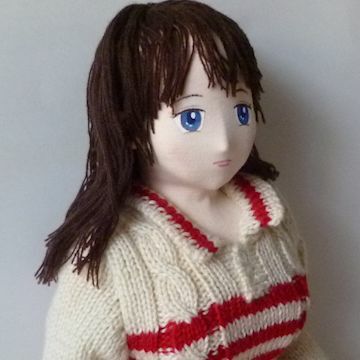 So even if you print this pattern in 200%, the doll may not be 200%. For base, flannel cotton, sheeting or broadcloth. For stuff, polyester fiberfill, cotton batting, wires. White stretch fabric, pink stretch fabric, white broadcloth, cotton flannel, cotton batting, lace. Refer to material page, too. PDF ... Print all patterns at once.